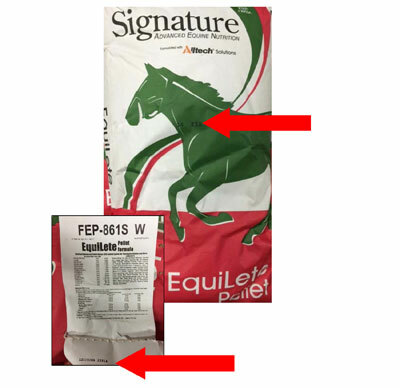 Lakeland Feed of Florida has issued the following recall alert of some of its equine feeds. If you are in possession of any of these affected products, please return the product(s) to your dealer immediately for a full refund. The specific lot number can be found on the front center of the feed bag. 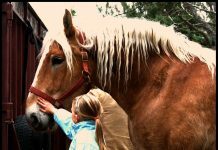 As a measure of caution, Lakeland is suspending the manufacture and sale of all equine feeds until further notice. We apologize for the inconvenience and appreciate your cooperation. Please message us with any questions or call us at 863-665-5722 (M-F, 8 a.m. – 5 p.m.). View updates and photos of recalled products on Lakeland Feeds’ website. 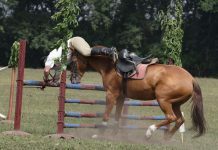 According to an article published on TheLedger.com, the voluntary recall was initiated because of a possible connection to the death of three horses in Davie, Florida in October. I wonder what the issue is. Thank You HC, for the information.